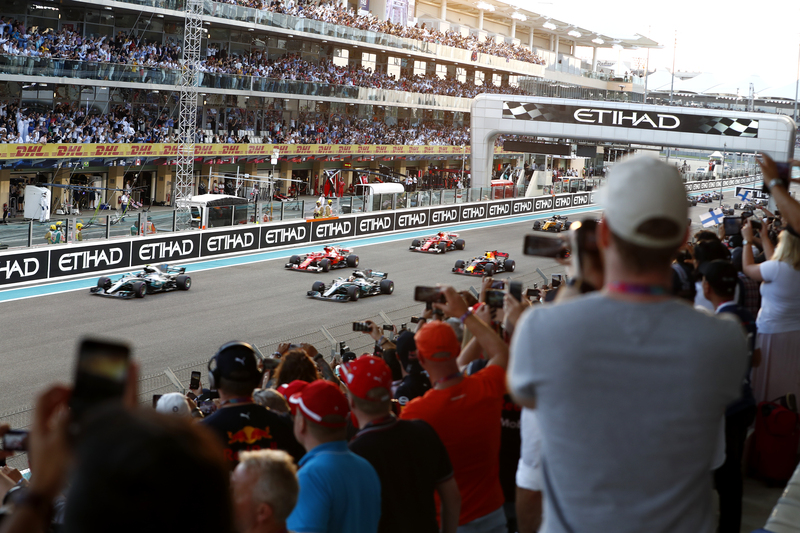 Abu Dhabi, UAE, May, 2018: Organisers of the FORMULA 1 2018 ETIHAD AIRWAYS ABU DHABI GRAND PRIX are urging local, regional and international fans to hurry and take advantage of the 30 per cent discount period which runs until Thursday 31st May. Sporting enthusiasts, concert fans and families alike who buy their F1® tickets will enjoy a full four days of exciting racing as well as off-track entertainment action as the Abu Dhabi Grand Prix celebrates its 10th edition. The 2018 F1 season has started in earnest and with the team and driver rivalry already providing fans with a fantastic spectacle, people will not want to miss out on yet another exciting season finale at Yas Marina Circuit. Since the tickets were launched worldwide in March, interest has been extremely high with West Club and Abu Dhabi Hill two-day tickets having already sold out and only a limited number of fan favourite three-day Abu Dhabi Hill and West Grandstand tickets now available. With ‘The Weeknd’ performing on the Friday and Guns N’ Roses taking to the stage on Sunday – the first and second artists of the four A List International Yasalam After-Race concerts – ticket holders can buy a three-day ticket providing access to all four concerts. Those looking to add extra value and excitement to their race weekend can also purchase the three-day ‘Super Parks Pass’. Allowing unlimited access to all three Yas Island Parks – Ferrari World Abu Dhabi, Yas Waterworld and Warner Bros. World™ Abu Dhabi – on Wednesday through to Sunday, the pass starts from AED1,340 (for Abu Dhabi Hill). The best early bird discount of 30 per cent ends at midnight on 31st May. To facilitate demand the Yas Marina Circuit Call Centre will be offer extended operation hours of 9am – 9pm on 30 and 31 May.